The oldest known records of western alchemy come from ancient Egypt and Hellenistic Greece. Today we associate alchemy with the idea of transforming metal to gold, but in fact these early scientists were much more diverse–they were for example searching for the “elixir of life” a potion for an immortal life and they were hoping to find “panaceas” the cure for any disease. Alchemists are surrounded with a hint of mysticism today due to their encrypted writings. Understanding that these scientists used symbolism and riddles to simply protect their intellectual property corrects our understanding today. 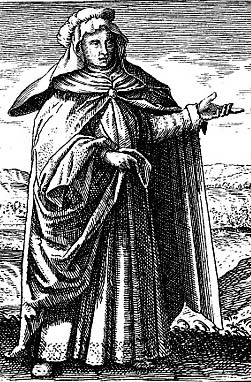 The first source about alchemistic distilling is by Zosimos of Panopolis. 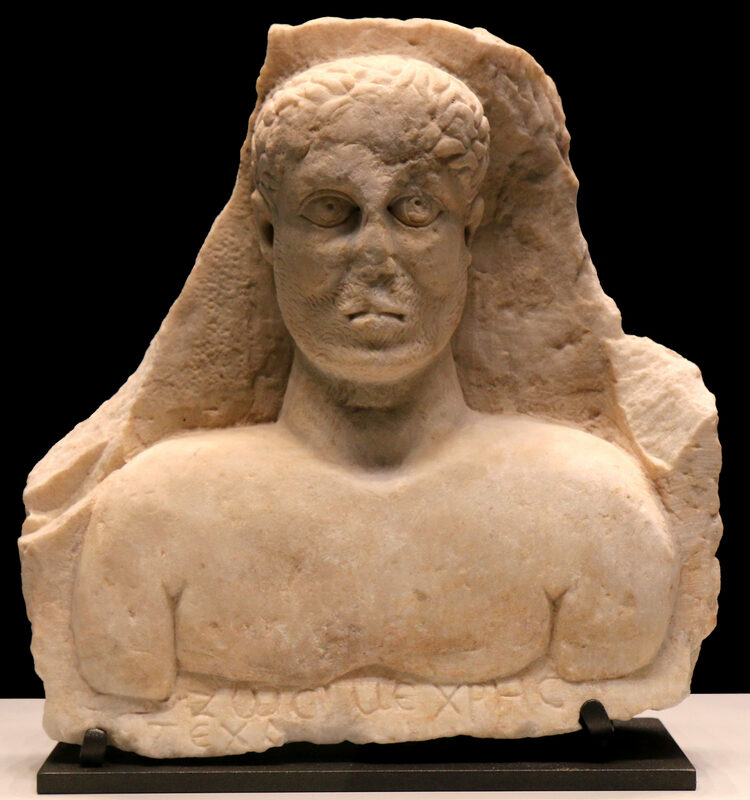 He was a Greek historical author from Hellenistic Egypt (circa 500 A.D.). From him we know about Mary the Prophetess (circa 100-300 A.D.), and she may be the first person in history we can factually name a distiller. Maria Prophetissa lived between 100 and 300 A.D. in Alexandria, Egypt and she is a key figure in Hellenistic Alchemy. Zosimos describes Maria as an inventor of several ovens and vessels for cooking and distilling alchemical elements. Alembic drawings appear as well in the works of Cleopatra the Alchemist, and Synesius. There were alembics with two (dibikos) and three (tribikos) receivers. Maria is known for inventing the distilling equipment known as tribikos according to Zosimos. Despite the fact that she never wrote and published herself, she was referred to as one of the most famous alchemists of all times by later generations of alchemists. Her tribikos consisted of more than one clay pot being connected by copper pipes. The lower vessel reveals the liquid to be distilled, the vapor rises in an overlying clay pot, from where the condensate drips through three copper tubes into three (glass) vessels. Zosimos states that Mary recommended that the copper or bronze used to make the tubes should have the thickness of at least a frying pan to create satisfying results. 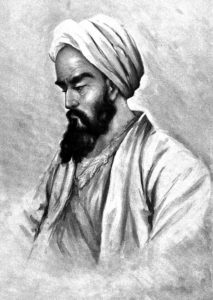 Abu Mūsā Jābir ibn Hayyān ca. 800 A.D. was born in Tus, a city in Persia (today Iran),an d he traveled and lived in Yemen and later Iraq. Jābir was an alchemist and possibly an apothecary or physician who is known for several hundreds of scientific works in his lifetime. It is unclear if some of his books may have been written by other authors; nonetheless his work gives us detailed descriptions of fractional distillation in order to isolate the different “natures” of the distillate. 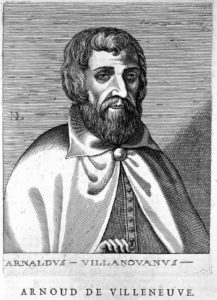 His extensive works were translated to Latin in the medieval period, and his name was Latinized to Geber Arabicus or short Geber. His works were studied all over Europe and he is still today often called the father of the alembic distilling apparatus even though alembics were known since the 1st century. Razi lived ca. 854 – 925 A.D. in Rey, Persia (today Iran). He is considered probably the most important physician of oriental Middle Ages. Razi published about 180 works and was many years the director of the hospital in Rey. As an alchemist Razis discovered alcohol distillation and sulfuric acid. Alcohol as a matter of fact was around for centuries as a component in wine and beer. His alchemistic approach to separate the “natures” by distilling wine lead to discovering pure alcohol (ethanol). His focus though was primarily for medicinal usage. 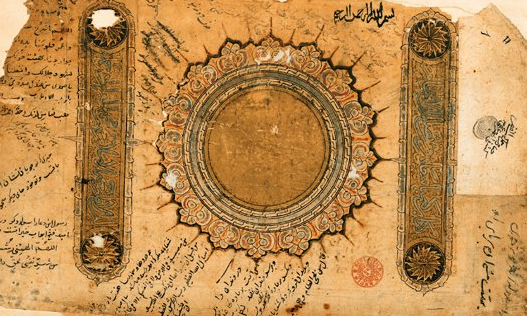 These early middle eastern alchemists have one thing in common – they may not have discovered how to turn lead to gold but as a matter of fact they invented how to produce a new product, a liquid gold: alcohol. However, the middle eastern alchemists were not realizing its value yet. They were more interested in finding the “quintessence” (the fifth element of Aristotle) derived from wine, without having any immediate usage for their finding yet. Their focus in distilling shifted rather towards the separation of etheric oils such as the creation of “Rosewater” which found immediate use and was sellable. Despite the fact that Razi was already distilling alcohol from wine, the process needed about 300 more years of improvement getting from “early rubbing alcohol quality” to consumable standards. The earliest evidence of drinkable alcohol “aqua ardens” we find in Southern Italy in the 12th century. The Schola Medica Salernitana in Salerno was the most important source of medical knowledge in Western Europe in the 10th century A.D. and is considered to be the oldest university of Europe, despite the reality that it was never named as university. The medical center developed between 995 and 1087 out of the Monastery of Monte Cassino which maintained a hospital for sick monks in Salerno. Crusader ships landed in Salerno to have their patients cared for, and it developed fast to a hotspot of medical knowledge in Medieval Europe. 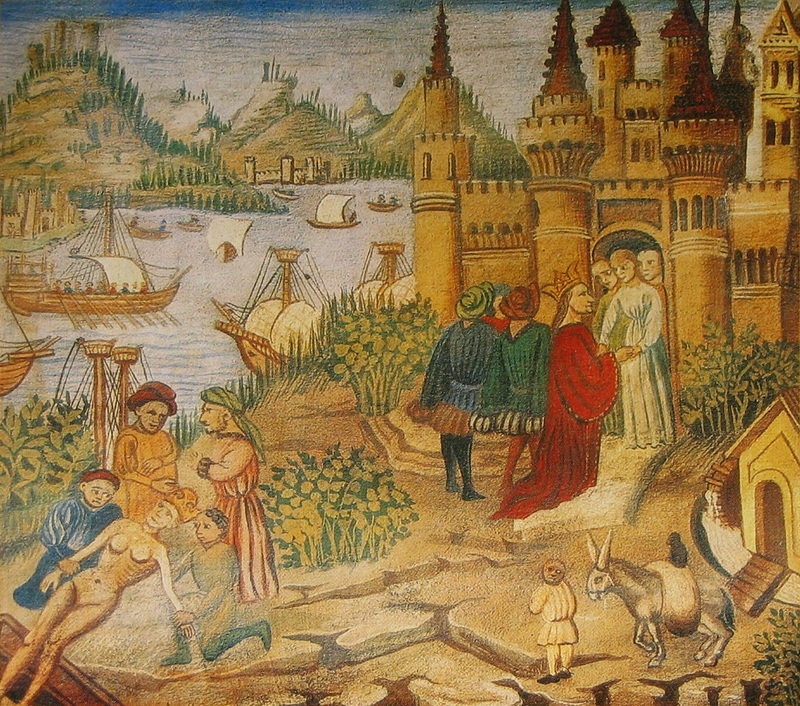 The success of the Schola Medica Salernitana was based on a synthesis of Greek, Latin, Arab and Jewish culture and medical traditions in one medical center. They combined knowledge from all over the world studying scripts and works from scientist and alchemists. In 1150 the “Master of Salerno”, alias “Salernus” published in the “Mappae Clavicula” recipes for the isolation of alcohol. This is the earliest mention of drinkable alcohol called “aqua ardens”. The description in Latin for making “aqua ardens” may refer to recipes from Alexandria and some of its parts may have been copied and/or later edited. There were even earlier papers discussing so called “beneficial waters” as well created by distillation process but these recipes were not precise enough to prove that alcohol was produced. 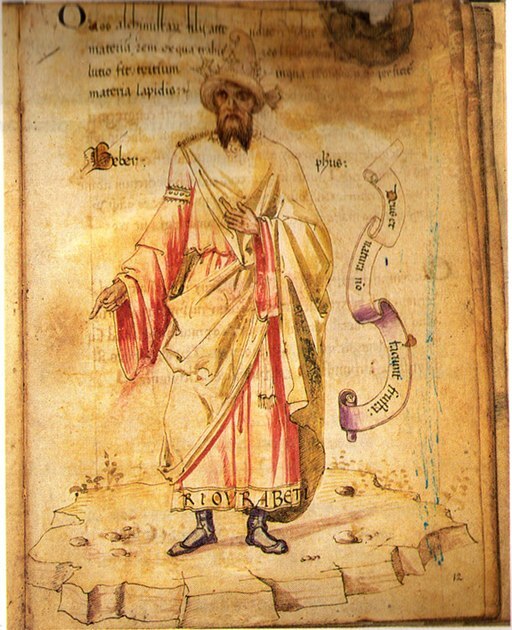 The recipe of Salernus in 1150 follows the fashion of the middle eastern alchemists and their production techniques for distilling rosewater. They used either red or white wine mixed with salt for the distilling process. This method of distilling by Salernus was written in code, securing that it was being kept secret, and only his students would be privy to his knowledge. The earliest alcoholic distillates were called aqua ardens – describing the burning experience one may have drinking alcohol for the first time. With further development of the distilling process more and higher proofed distillates became available. Aqua ardens describes the quality of alcohol to burn and aqua vitae as the water of life is considered to be of highest concentration possible. Therefore, higher proof alcoholic distillates were later called aqua vitae. 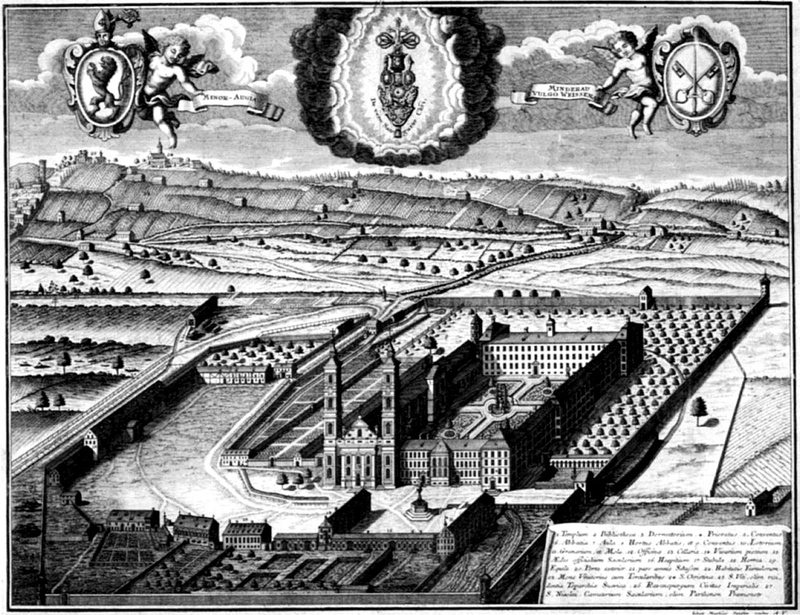 A very similar recipe and proof for early distilling has been found in Kloster Weißenau, a monastery in Germany. It follows a similar process of Salernus. Weißenau Abby preserved a parchment manuscript No. 761/765 of the 12th century. This manuscript is an attached sheet, and partly in cipher, containing several medical recipes. The first recipe is for aqua ardens. Interestingly, there has been another early recipe in the codex of San Gimignano (“Storia della medicina”). It also dates back to 12th century and shows deviations to the Weißenau distilling instructions. It is likely that both recipes are based on a common older copy, which was written in so-called “insular writing “. In fact, it is unclear how often the recipe was copied since Salernus, and translation (and interpretation) errors could have led to these early recipe deviations. 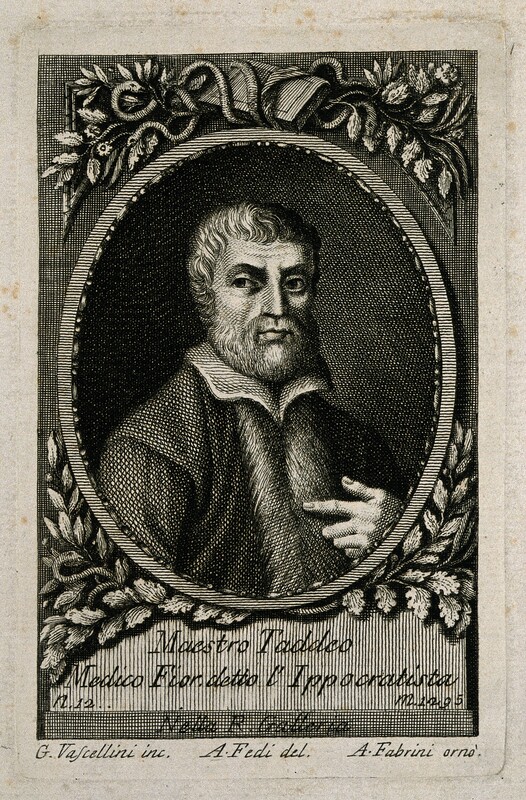 Taddeo Alderotti was born in Florence between 1206 and 1215, and died in 1295. In the 13th century he was a famous Italian doctor and professor of medicine at the University of Bologna, founded in 1088. Bologna is considered the oldest university in continuous operation in Europe. 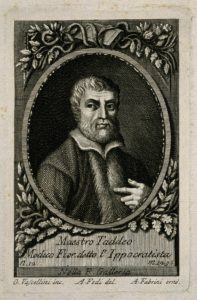 Taddeo Alderotti made important contributions to the studies of medicine in Europe by first organizing medical lectures at the university. In 1264 he distilled wine as described in his “Consilia Medicinalis”. He used a wine re-distilled four times for medical purposes and referred to “serpent”, which is believed to have been the coiled tube of a still. As an alchemist, he is credited with developing fractional distillation. Arnaldus de Villa Nova was a physician and a religious reformer between 1240 and 1311 A.D.. He was educated in a school of Dominicans, later attended the university of Montpellier. He became the master of the school of medicine between 1291 and 1299. His fame as a doctor was immense: among his patients were three popes and three kings. 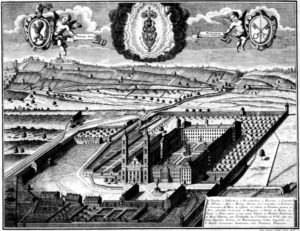 Arnaldus de Villa Nova introduced wine spirit (alcohol, called by him Aqua Vini and Aqua Vitae), resulting from the distillation of wine. In its medicinal use, however, he had a predecessor Taddeo Alderotti, thus most often Arnaldus de Villa Nova is named as the first physician that used alcohol as an antiseptic. Arnaldus de Villa Nova developed alcoholic extracts from medicinal herbs for medicinal purposes, eg. for rubbings. The successful technique of obtaining active ingredients from plants, called maceration, is still used today for medicinal purposes as well as for the production of flavorings . for certain liqueurs or bitters. It may be a legend – though some claim that Arnaldus de Villa Nova invented the “Vin Doux Naturel”. In the production of Vin Doux Naturel the fermenting grape must is mixed with spirit of wine. The result is ‘fortified’ wines, which in addition to a relatively high alcohol content also have a natural residual sweetness and are thus extremely durable. After the 13th century distilling recipes were available several in monasteries all over Europe, but it was until 1500 until the knowledge was available for all people when Hieronymus Brunswick published his book on distilling art. The first proof of distilling in Ireland is found in the Red Book of Ossory in the 14th century A.D.
© 2018 Atlanta-Bourbon Company, Inc. All rights reserved. To find out more about responsible consumption, visit Responsibility.org and OurThinkingAboutDrinking.com.